Having been given the brief to ‘astound’ our client back in 2008 this is what we came up with, fortunately he likes it! 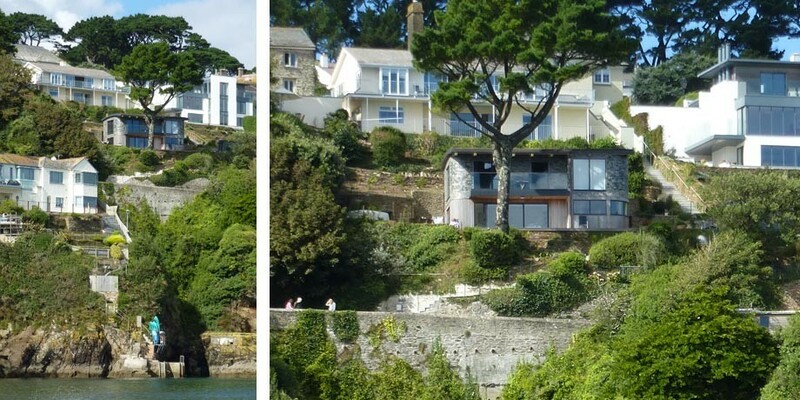 The site is located within the Conservation Area of Fowey, Cornwall in an Area of Outstanding Natural Beauty, which offers outstanding views of the Fowey Estuary and out to sea. 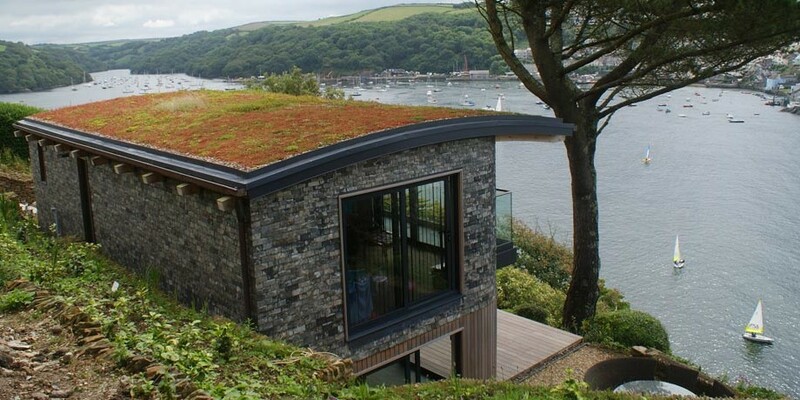 A collaborative design process involving the client, Conservation Officer and Town Council ensured the success of the Planning Approval being the first contemporary dwelling within the Fowey Conservation area. The outcome is a two bedroom home with open plan living space with large sliding doors on two sides. 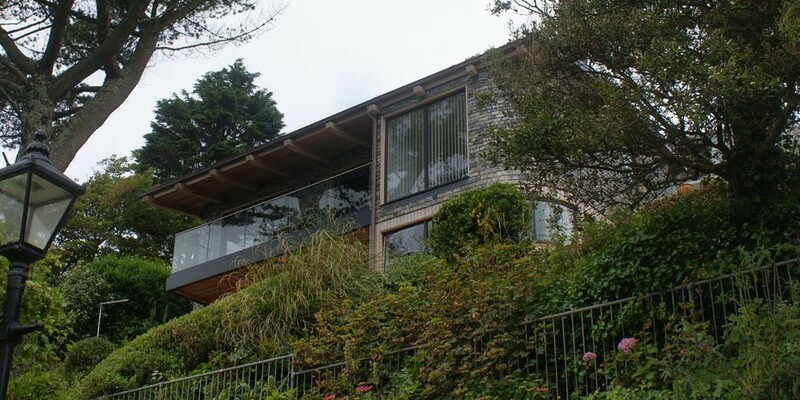 A barrel top sedum roof with wide cedar overhangs and frameless balustrade shelters the balcony which can be accessed from both first floor bedrooms. 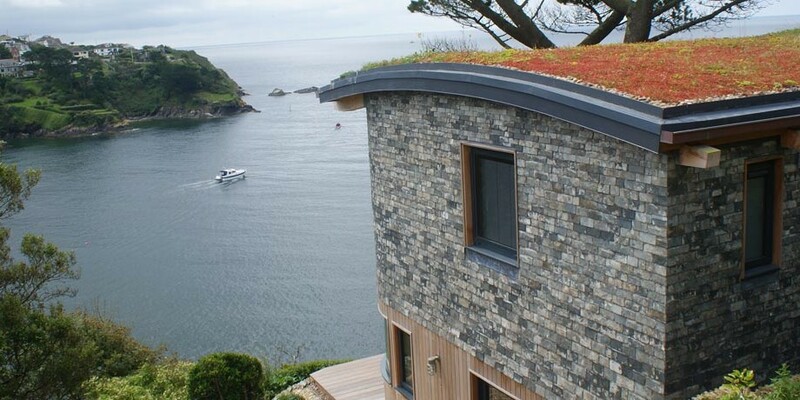 To ensure this new home blends into its setting reclaimed diminishing course Delabole wet laid vertical scantle slate wrap the first floor which utilises the County’s material palette in a contemporary way. We are proud to confirm that Pollys Leap has been short listed by the editors of Build It magazine for Best Home Award 2013! Pollys Leap features in the April 2013 edition of the Build It Magazine.